Jagemann 12354 Jag 19 9mm Luger | East Coast Ammo, Inc.
Jagemann delivers quality products and exceeds expectations. It is a privately-held U.S. manufacturer of polymer magazines and premium brass casings for riffles and pistols. The Polymer magazine will satisfy both pro-shooters as well as sports enthusiasts. It is easy to use and sized to operate right out of the box. The magazine features an extended base pad, improved follower geometry and round staking, optimized spring power, reinforced automotive-grade engineered resin, and revamped feed lip geometry. 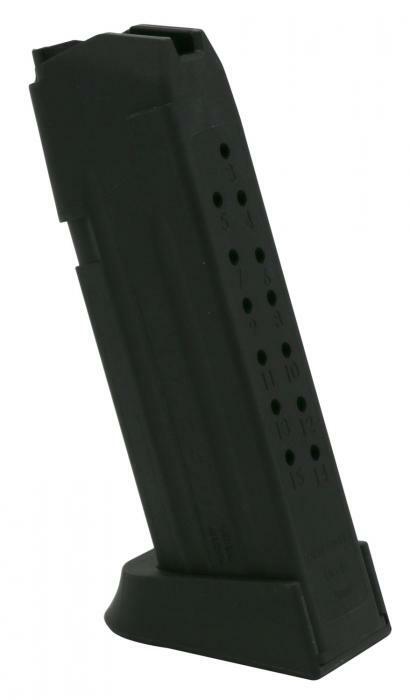 This model is compatible with Glock 19 and has a black finish.